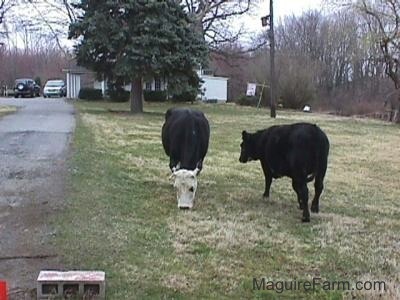 These two cows were being kept in the upper field. 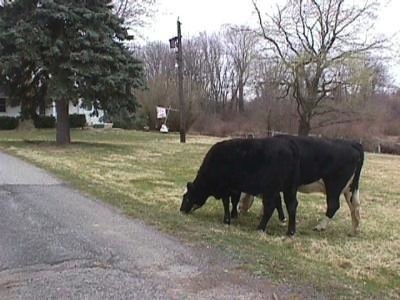 One morning they got out of the fenced area and made their way to our front yard. I tried to keep them in one spot until George arrived to put them back, however they wandered off. 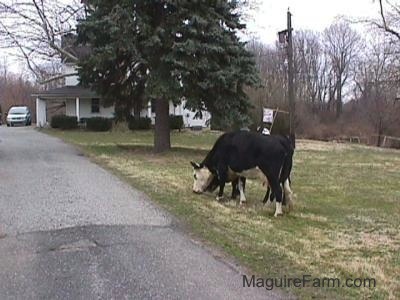 I did my best to herd them back running from side to side with a stick to keep them going the way I wished. 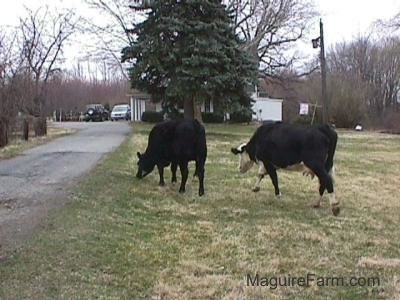 We were on a trail which was leading us back to the house when both cows decided to make a turn towards the neighborhood next to us. There was no way I could keep up! 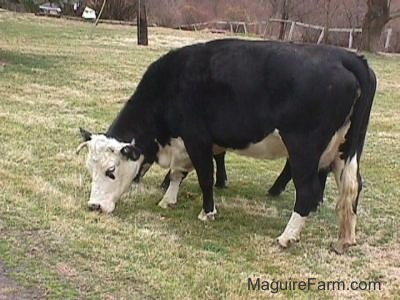 I remember wishing I owned a herding dog. 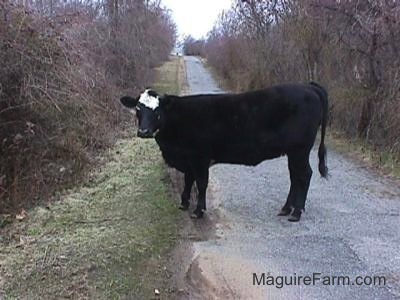 The two cows made their way just about to Walmart before they were caught! 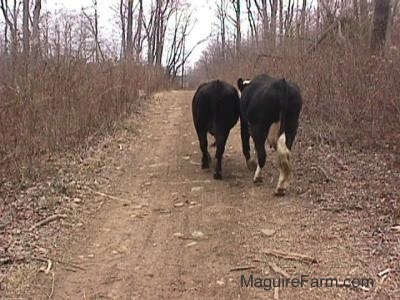 Because these cows escaped more than once, they were taken to a different farm.